Please join us in kicking off our 2018 Summer Reading Program! Toms River Regional School District is dedicated to making reading a top priority for all children. We believe that it is especially important for students to engage in reading during the summer months and they can do so by participating in our annual district wide summer reading program. The best part is—reading can be done anywhere! Whether in a car, on a plane, at the pool, or at the beach, there are so many opportunities to check into a good book. In addition, reading aloud to children has tremendous educational benefits and can be a source of much enjoyment for families. Summer is a great time to read with your children! We encourage you to make reading a family event this summer! 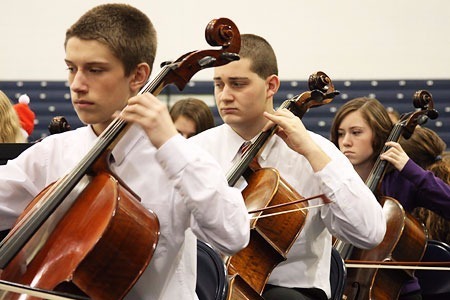 The Toms River Regional Schools Summer Music Program provides students with a FREE weekly 30-minute group lesson throughout the summer. Students are free to participate in as many or as few weeks as they would like. This form is for students who play a string instrument (violin, viola, cello or bass). This form is for students who play a wind instrument or percussion instrument and will be attending High School North as their high school. This form is for students who play a wind instrument or percussion instrument and will be attending High School East as their high school. This form is for students who play a wind instrument or percussion instrument and will be attending High School South as their high school.